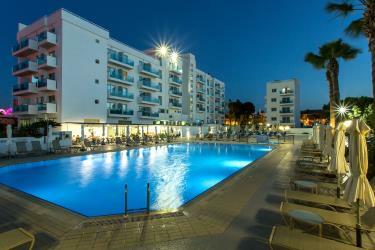 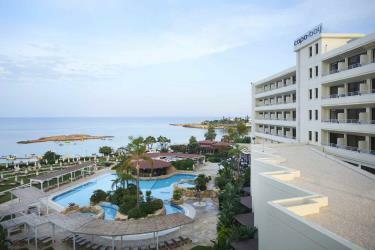 The Capo Bay Hotel has an exceptional location in the heart of Protaras. 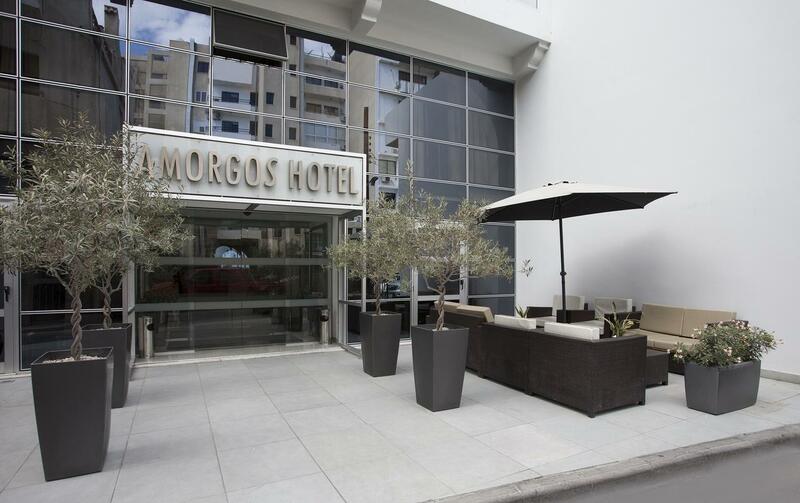 Modern features and amenities blend in with traditional excellence in service and holiday accommodation for relaxing holidays. 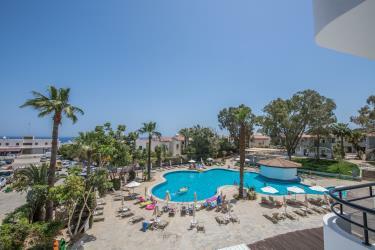 Directly to the beach of Chlorakas Village, the St George Hotel is sited on 7 acres of land, one third of which are landscaped gardens. 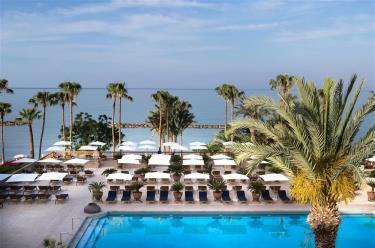 Perfectly located for those seeking rest and relaxation. 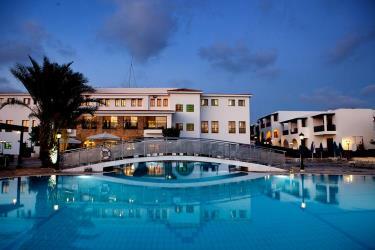 Adjacent to the Akamas peninsular, an area of outstanding natural beauty protected by UNESCO, the Coral Beach Hotel & Resort offers the perfect base for exploration. 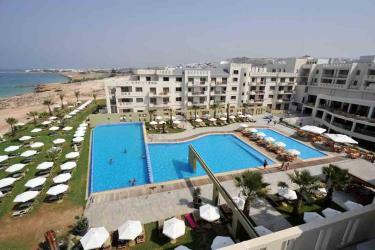 The Poseidonia Beach Hotel is now under new management as it is now being run by its Owners. 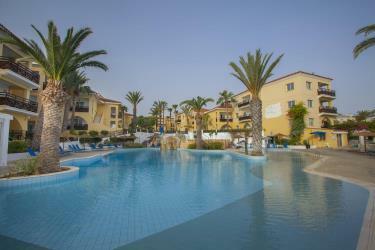 Apartments Category A. St. George Gardens is a pefect holiday destination for families and couples to spend some quality time. 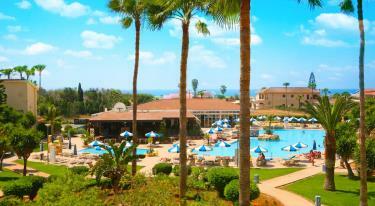 Safety and healthcare will secure your unforgetable holiday. 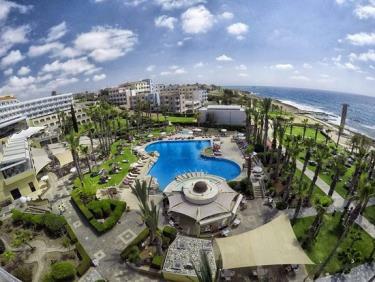 One of the most well-established hotels in Pafos, Aloe has an excellent location on Poseidonos Avenue, in the heart of Kato Paphos and comprises 272 rooms, 3 restaurants and 3 pools (including one indoor). 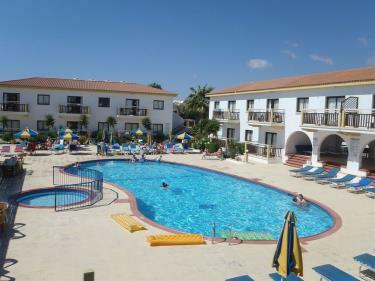 Apartments Category B. Cosmelenia Hotel Apartments are set in the peaceful quiet surrounding of Ayia Napa just minutes away from beautiful Macronissos Bay. 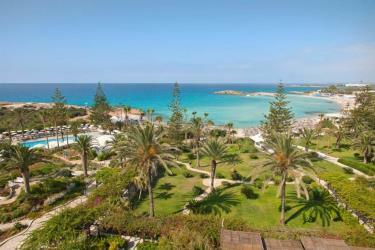 The Makronisos Village is a popular complete tourist village located on the outskirts of Ayia Napa in a quiet location. 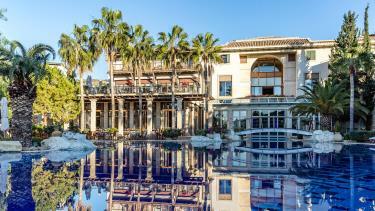 Columbia Beach Resortis an exclusiveall suite resort ambles gently upward from the sparkling waters of the bay following the natural incline of the landscape so that most suites have a spectacular sea view. 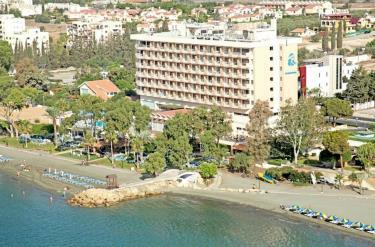 Tourist Village Category A.The Avanti Holiday Village is the new sister hotel to the well-established Avanti 4 star Hotel. 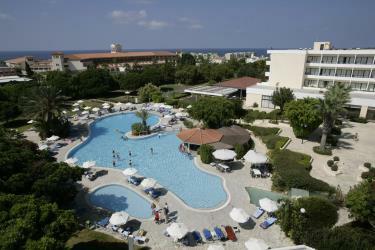 It is situated 300m away, offering a very convenient location just 250m from the beach. 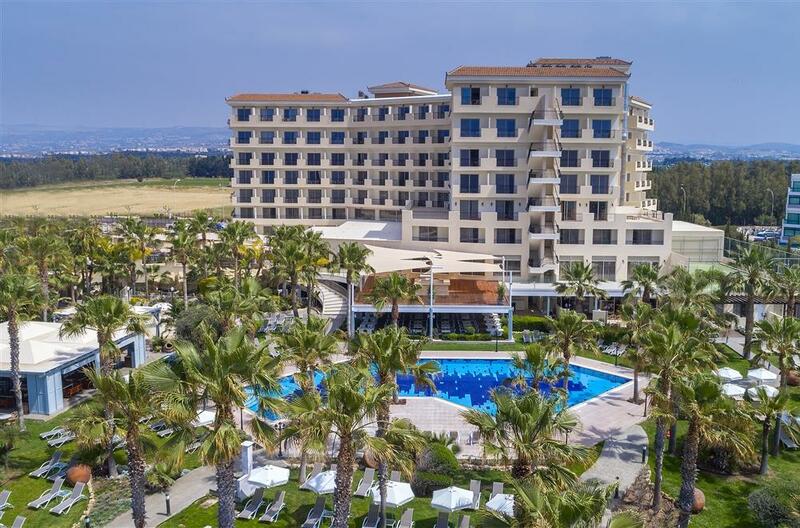 The Avanti Hotel is an excellent and outstanding four star hotel establishment with five star facilities, situated in a prime position in the heart of the popular coastal resort of Paphos. 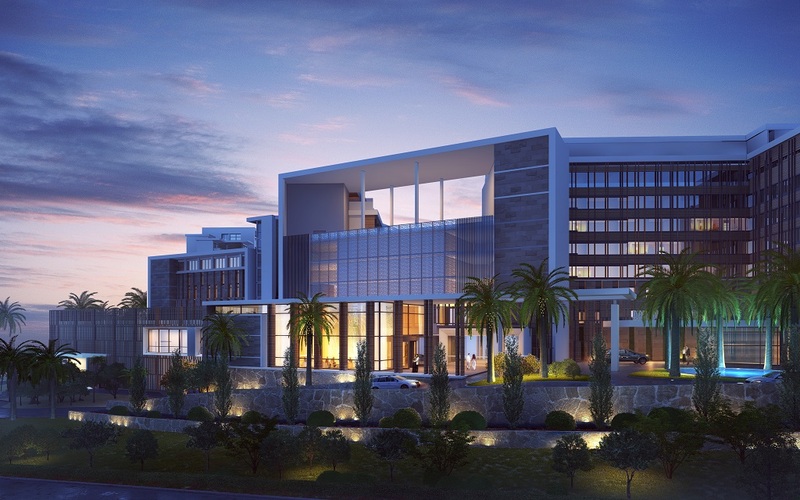 The newly built Eleana Hotel is scheduled to open on June 2018. 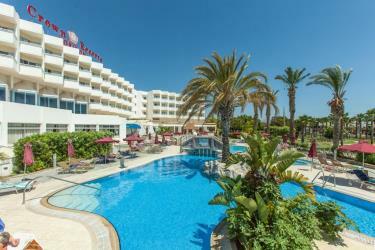 The hotel is located opposite the famous Grecian beach and is only 5 minute walk from the centre of Ayia Napa were shops, restaurants and bars are featured. 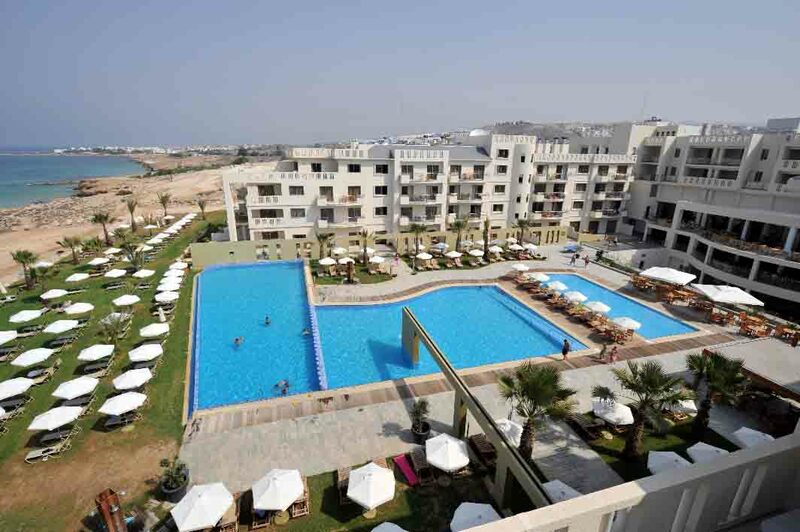 The Crown Resorts Horizon which opened in July 2002, is conveniently located on the picturesque Coral Bay at Pafos, only a few minutes walk from the Coral Bay main area, 11km from the centre of Pafos. 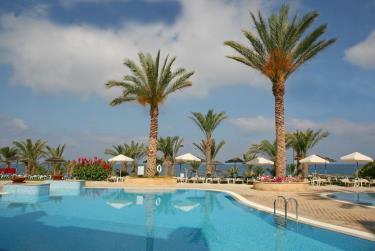 Azia Resort & Spa exudes the air of gracious living afforded by a large private villa. 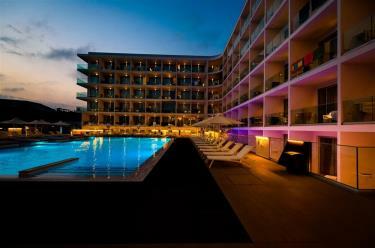 The traveler can relax in spacious surroundings and enjoy complete seclusion. 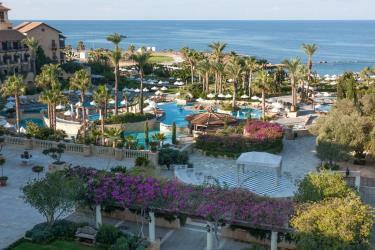 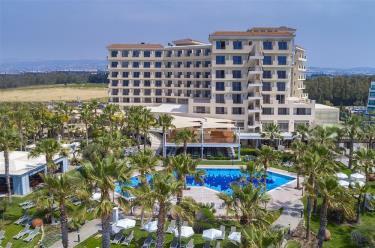 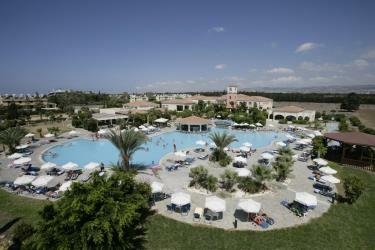 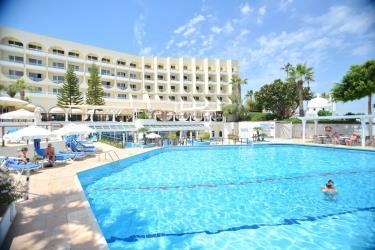 The luxurious 4-star Golden Coast is located on the beautiful Mediterranean island of Cyprus. 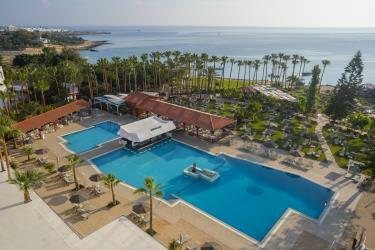 Kapetanios Bay Hotel is a superior 3-star hotel situated in the most privileged area of Protaras and within10 minutes walking distance from the famous beach of Fig Tree Bay. 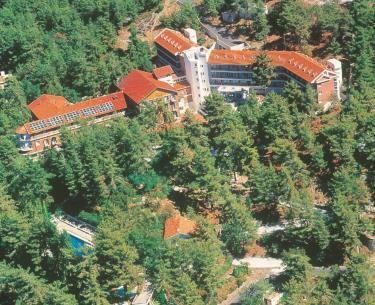 Standing in its delightful grounds in the fringe of the pine forest. 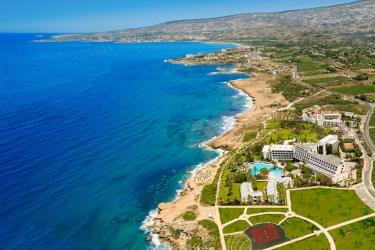 The striking panoramas over mountain and sea are a never-failing pleasure to the eye. 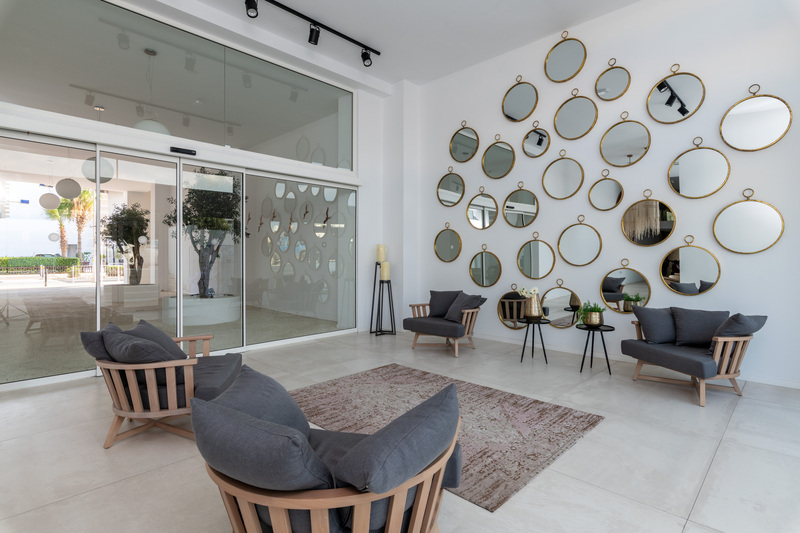 This hotel has a style of its own. 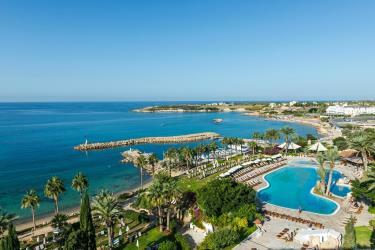 The Nissi Beach Hotel embraces a unique bay of its own, renowned for its crystal clear turquoise waters and white sandy beach. 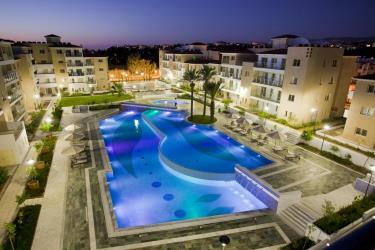 Nissi Beach Hotel has earned a reputation as a true holiday paradise throughout the year. 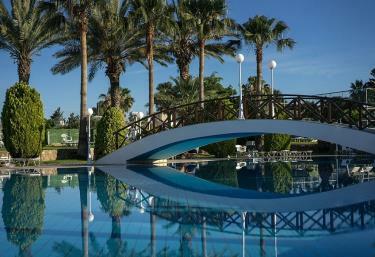 As the name suggests, Aquamare Beach Hotel and Spa means "The Water of the Sea'' and what better way to celebrate this, than by enjoying a luxury stay right on the waters which produced Aphrodite, the goddess of love.